A 26-year-old man has been charged with the murder of Eastbourne student Janet Müller. Miss Müller was reported missing from Mill View Hospital, in Hove, on Thursday (March 12). 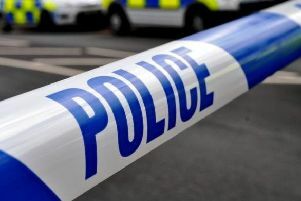 The 21-year-old’s body was discovered in the boot of a burning car in Ifield on Friday, March 13, shortly after 2.30pm. Christopher Jeffrey-Shaw, of Lakeside, Beckenham, London, is accused of killing Janet. He has been remanded in custody to appear at Guildford Magistrates’ Court on Thursday (March 19). Janet was a student at the University of Brighton’s Eastbourne campus. She was in the final year of an International Events Management degree and was due to graduate in June. A spokesperson for the University of Brighton said, “We were all deeply saddened to learn of Janet’s death and our thoughts are with her family and friends at this time. A post-mortem examination on the body, which had suffered extensive fire damage, revealed the cause of death as smoke inhalation, suggesting Miss Müller was alive when the car was set alight. Detective Chief Inspector Karen Mizzi from the Surrey and Sussex Major Crime Team said, “Specially trained officers are supporting Janet’s family at this extremely difficult time. “Although we have charged a man with murder, I am appealing for information from anyone who may have seen Janet on Thursday night (March 12). She was last seen at Mill View at 10.15pm. Miss Müller was of mixed race, slim and 5’ 7’ with shoulder-length, dark brown afro hair and brown eyes. She was wearing dark clothing. A 34-year-old woman from Dulwich, south-east London, who was arrested on suspicion of conspiracy to murder on Saturday, has been released on bail until March 30. Anyone with information is urged to contact Sussex Police on 101 or email 101@sussex.pnn.police.uk quoting Operation Madeira or call the independent charity Crimestoppers anonymously on 0800 555111.